Build the Beloved Community With Us. It’s not too late to give! This past year has brought fear and concern of the unknown, as well as divisiveness as a nation. 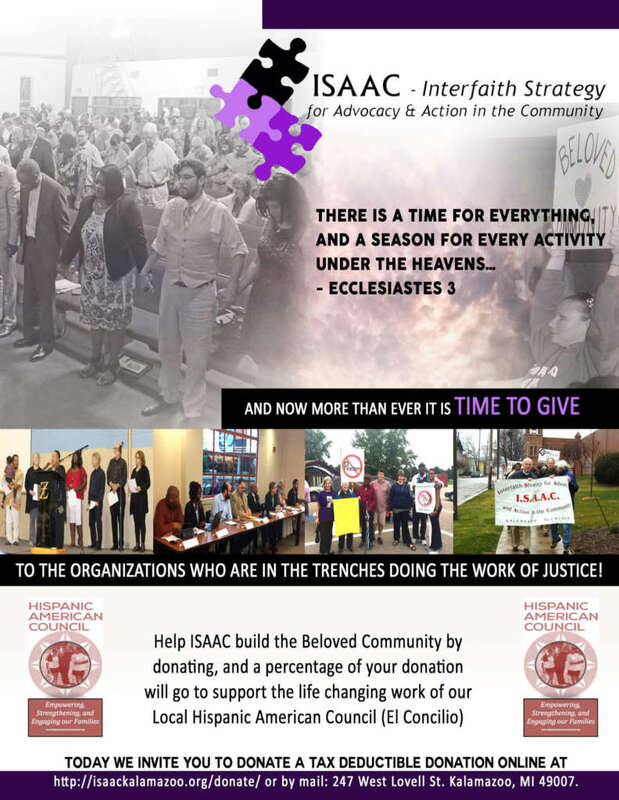 We at ISAAC proclaim we will not shrink in fear nor shut our eyes to injustice; but we will continue to stand firmly and to work tirelessly together to ensure social justice for all in our community. We invite you to contribute a 2018 tax-deductible donation. It’s easy to donate online, by credit card or by mail. Every donation will help support the vital work of ISAAC! We invite you to give to our work of community organizing, social justice unity and change in the areas of racism, youth violence prevention, poverty and housing. We are in this together! MLK Community Celebration – Sun, Jan 14 Thankful for our friends!